Greyfriar is amazing. I absolutely loved that book and it was moved to my top 10! I hope you enjoy it! Nice IMM. I've been very curious about Vampire Empire: The Greyfriar. I've heard mixed opinions on it. Looking forward to reading your thoughts on it. Hunger was an amazing read. Kessler does a great job at keeping the seriousness and the paranormal balanced. Enjoy all of your great reads. Alison, I just had to look up what Warm Bodies was about because I'm loving the cover. Sounds good. And I got Switched a couple of weeks back because I too want to know what all the buzz is about. Haven't read it yet, but I plan to soon. Looks like you will have fun with these. Ohmygosh, I'm so jealous of seeing Warm Bodies on your list! I read the short story last year and have been looking forward to the book. I hope you enjoy it! I've got to read Switched to see what the fuss is about as well. Looking forward to seeing what you thought of it!! Great IMM! Warm Bodies and The Cadence of Gypsies look cool! I have Switched. I haven't read it yet though. I hope you enjoy your books! Hunger looks awesome! I am such a sucker for a nice cover... You'll have to let us know how Pettigrew is... It was choosen as a book club pick but it didn't appeal to me to read it. NICE CD PICK, I CAN'T WAIT FOR MANCHESTER ORCHESTRA'S NEWY! Great books you got this week. Hunger is really good. Hope you enjoy reading all your books. I want to read Switched and Hunger!!! I've read Rage and it was amazing but I had never read the start of the quartet! Great books! I lobed Hunger and I heard some great things about Greyfriar. Great selection of books you got there! I read Major Pettigrews....it's really good. Happy Reading! The covers of Hunger and Switched look great. Have fun reading all these amazing books. Hunger is awesome! I loved it so much. The second book in the series is out soon as well. I hope you enjoy it as much as I did - and the rest of your books. Great list! Have heard of a few, but haven't read them. Will look for your reviews to see if they were good! I'm curious to see what all the fuss is about Switched, too. I'll be looking forward to your review! I like the cover of Warm Bodies. I've been wanting to read Major Pettigrew. I'll look forward to your review! I've heard good things about Hunger. At first I thought I confused it with the Hunger Games... duh not the SAME PK! It sounds really good, enjoy your books. Oooh, nice mix of paranormal! Yes, and I also love the CD IMM. 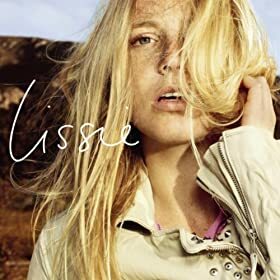 CD covers aren't so different from book covers, now, are they? 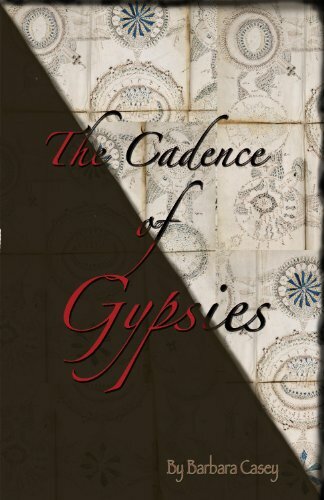 Ooh, I'm intrigued by The Cadence of Gypsies. I've never heard of Warm Bodies or The Cadence of Gypsies, but I saw the beautiful covers and added them to my TBR pile. Looks like you got some great books! I'm really jealous of Hunger. I can't seem to get my hands on a copy! thanks for being my very first follower, I really appreciate it! The cover for Warm Bodies looks wicked and Hunger sounds cool, too. Thanks for those! I want to read Greyfriar so freaking bad! Can't wait to hear what you think. I really want to read Hunger. It has such a good concept. You have some really cool, unusual looking books there! Look forward to seeing what you think of them all! oOo so jealous of Warm Bodies. I keep seeing only good things about it. The warm bodies cover is so awesome!! Happy reading. The Vampire Empire one is greatly interesting me lol I think I might go buy it and Hunger, that one looks good too! Our IMM is @ http://solomonnewlyweds.blogspot.com/ We're New Followers! I have all the Amanda Hocking books on my Kindle too. I haven't had a chance to read them yet. I was surprised to find out that she is a neighbor. Austin, MN isn't far from me. Happy reading! I've heard a lot about Major Pettigrew's Last Stand, but for some reason I keep putting it back down when I pick it up in the book store. I really should buy it at some point! 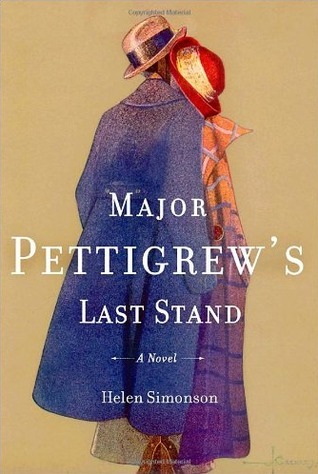 I want to read Major Pettigrew's Last Stand. I too am curious about Amanda Hocking's books. I hope you enjoy your books! I read Major Pettigrew's Last Stand a few weeks ago and loved it!!! I haven't heard anything about Switched but the cover is so pretty :p I hope you'll like it ! I've had Hunger for christmas I really need to read it :). Richelle Mead loved it ! Warm Bodies looks good - looking forward to your review of it. Hi, Alison. Thanks for stopping by today. I've been wondering about Switched, myself. I'll likely get it for my Nook soon to check it out. I'm looking forward to reading Wither. It will arrive tomorrow and, after that, it's just a matter of finding time between my library books to read it. I hope you have a fantastic week. Happy reading! Vampire Empire has made it onto my TBR pile. I'm excited to see what you think of it! Amazing boosk! I heard Warm Bodies is fantastic!! Cool books! I haven't heard of them, but they seem really interesting and I think I'm going to check them out! These books look so good! happy reading! You got some great books this week! I just added Warm Bodies to my "to read" list. Great stuff this week! Warm Bodies looks interesting, will have to check it out! I want to read Hunger and Switched, I've heard great things about these books,i'm adding to my TBR list although it's super long now :). Wow! Lots of comments! LOL. I really liked the Trylle Trilogy. I thought the storyline was unique and it didn't always go in the direction I expected it to. Hopefully you like it too! I loved that it was super affordable too. Hunger sounds so good. It's a four part series or something, right? I need to go put it on my 'to read' list on goodreads. I don't think I heard of any of them before, so I'll be looking forward to your reviews! I actually haven't heard about the Trylle Trilogy until today (not that I remember, at least). I think they was on three peoples' IMMs today! How I haven't heard of them before now, I don't know. Ooh, Hunger looks great. Can't wait to see what you think! Thanks for your comment! Little Princes is excellent, I am almost finished. I don't usually read non-fic, but it is so easy to read and funny (although really moving at the same time). Its really well written! I have been considering buying Switched too since it is so cheap for the nook-can't wait to hear what you think of it! hunger looks like a really good book!! Enjoy! Great book haul! I loved the Greyfriar! It was such a great book! I also adore Jackie Morse Kessler, her books are awesome. You'll see once you read it how much goodness is packed in a short book. 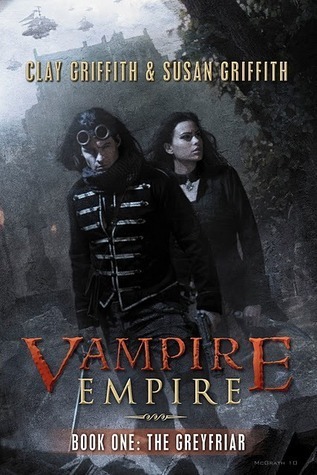 The Greyfiar (Vampire Empire #1) by Clay Griffith and Susan Griffith; I need to read this book. Please (please? :D) post a review of Switched after you read it. I don't actually have an e-reader, but I too want to know why she was offered a 2 million book deal. And I've heard really great things about Warm Bodies--I think it was Maggie Stiefvater who wrote on her blog to recomend that one and the synopsis in and of itself also looks terrific. Looks like you've got a full plate for this week! Happy reading! 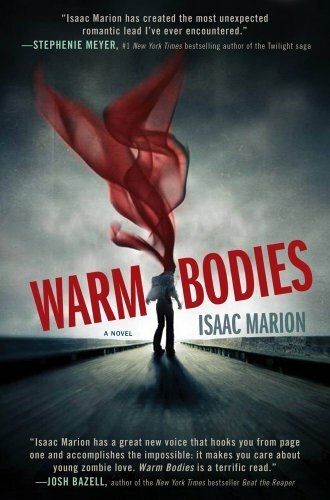 Warm Bodies by Isaac Marion sounds like a great book! Hope you enjoy reading the books! Great stuff this week! I've heard great things about Hunger. Happy reading! How funny is that? I just closed a tab where i was reading that Switched will be a movie XD haha! hope you like it! Thanks for visiting my mailbox! Looks like you've got some great books there! I love the cover for Warm Bodies and I've heard it's a good read. :) Take care. You've got some good books there. Happy reading! LOVED The Greyfriar! I have Rage coming but I still have to check out Hunger - I hear it's really good. Oh wow! Great week! I have The Greyfriar and am SO excited to get to it! I enjoyed Hunger and hope you do too. Those all took great. Enjoy your reading!! So many books! Hope you enjoy them all! Heehee you bought Switched. I loved that book! 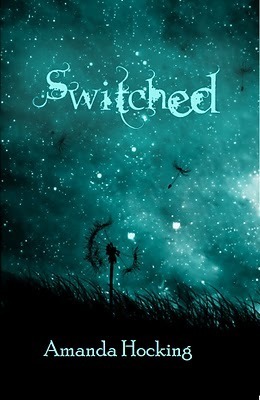 I am loving the cover of Switched! I've actually never heard of this one so I'm going to have to look it up - happy reading!! Oh, do let us know how you like Major Pettigrew's Last Stand! I've been eyeing that book for some time!